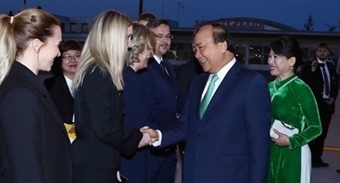 Prime Minister Nguyen Xuan Phuc attended the opening ceremony of the national start-up day ‘Techfest 2018’ in the central city of Da Nang on November 29, affirming the government’s support for young start-ups. The Government is strongly committed to protecting intellectual property rights and providing capital to help young people realise their start-up dreams in the future, he said. The PM stressed that start-up programmes will help the country reach its target of each person earning 18,000 USD per year by 2045 when Vietnam celebrates the 100th anniversary of the Independence Day. Start-up programmes in Vietnam have achieved goods results with 93 Vietnamese start-ups worldwide, he said, adding the innovation in start-up programmes is seen as a valuable resource. News and information related to star-ups and innovation has been among the top key words searched for on Google in Vietnam recently. 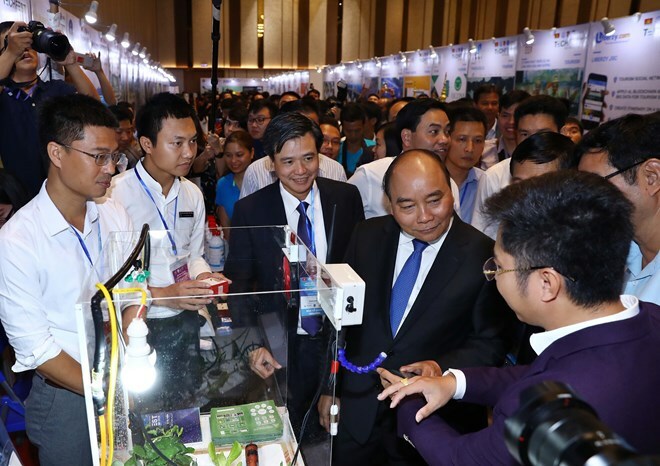 It clearly shows that start-up and innovation have become major interest among Vietnamese people, the PM said. The PM urged young people and students to think big and take risks in turning their desires and dreams in business start-ups. The Techfest 2018, entitled ‘Innovation, from Here to Global’, has 4,500 participants taking part in a series of activities to connect investors with enterprises. The annual event, which began in 2015, has attracted 40 investment foundations creating 40 business incubator centres and 60 co-working spaces nationwide. According to a latest report, Vietnam has 3,000 innovative start-up businesses, and the figure will increase to 5,000 by 2020. The 2015 Techfest earned one million USD in commitment from investors before increasing to 4 million USD in 2017. The event continues with start-up contests, panel discussion, exhibitions and business matching on November 30.